Lado (Georgian) and Mzia (Ossetian) been together for 35 years. They met at their mutual friends house. "I saw her and planned to kidnap and marry her", said Lado. "He still married me, even after the accident", Mzia had brutal car accident at a young age and never fully recovered. 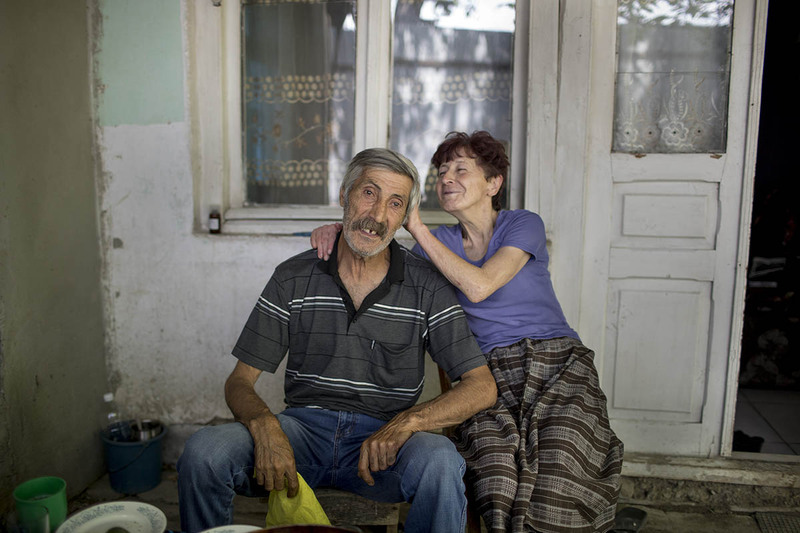 Living close to the occupied territory, after the war in 2008, they have made their way to South Ossetia to see their grandchild, though Mzia recalls that the stress was too much for her and she will not do it again.